The word Upanishad means to sit in proximity to. Upanishad is a Sanskrit word that derives from the elements upa + ni + sad. Upa + ni = proximity or nearness and sad = to sit. Sanskrit was an oral language for a long time and even today it is impossible to learn Sanskrit without a competent teacher. This is because of its primacy on the oral tradition. So much of the depth of Sanskrit is coded into its Vedic mantras, mythologies, hymns, sutras and grammatical structure. These intricacies have been passed down from teacher to student until today for thousands of years. What does the oral tradition actually mean? For a long time, when someone mentioned the term ‘oral tradition’ it confused me. In those days, I felt that oral tradition meant an aspect of the tradition where only spoken sound was used. But as I grew in my understanding, I came to more deeply understand it. Not only does oral tradition point to the need for verbal sharing of what one has learned; the oral tradition signifies the relationship that must develop between the teacher and student, in order for the student to truly be ready to understand the mystical nature of the teachings. Upanishads contain the mysteries of the universe, they are not ordinary. Thus, the focus on the oral tradition means to place a primacy on developing a link with those that came before you and so on and so on. This is so that you may come into harmony and connection with whole of the Yogic Tradition. The student syncs up with the teacher, and also in so doing, with the rishis of old. Furthermore, the oral tradition reflects the Guru-Shishya-Paramparā, which signifies the passing of light from teacher to student, in an endless succession. What does the written tradition mean? The written aspect of the Sanskrit and Yogic tradition became important because a written document allows yogic teachings to have a greater capacity for continuance. The written forms of old allowed the teachings to be codified and preserved. The written manuscripts helped students grow. It’s wonderful that we have so many Sanskrit texts laid down that students can study and refer back to. In modern times, the oral tradition and the written texts work together to support each other. For example, a student will work with a written text, and then the competent teacher (oral tradition) will fill in the mystical meaning. Both are necessary for a complete Yogic study. The Vedas are the oldest of the books of Yoga and Sanskrit. The end of the Vedas is called Vedānta, which forms what is known as the Upanishadik phase. The Luminous Soul (Supreme Light) moves and does not move. It’s distant and close. The Luminous Soul exists in everything and it is beyond everything. Verse 5, from the Isha Upanishad, is saying that the Luminous Soul (Supreme Light/Supreme Consciousness) is far from one who is not actively working with the process of Self-Analysis and it is also far from one who is not practicing Yoga Meditation. As without engaging these disciplines regularly, your vision will be cloudy. The verse also says, that the Luminous Soul is very close to the Yogini-in-Training, who practices Yoga Meditation and engages in yogic discipline. Moreover, it says that the Luminous Soul is everywhere and at the same time it is beyond all. The Isha Upanishad wants the reader to recognize that the Luminous Soul (Supreme Light) is that which you are and in order to access the fullness of that illumination you must engage yogic discipline including Yoga Meditation. This month, work with both the oral and written aspect of the Sanskrit and Yoga tradition. Chant the above Isha Upanishad verse along with me then read my translation and commentary about the verse. Afterwards, sit quietly in Yoga Meditation for 8 minutes. May the light of the Upanishads and the Great Tradition always illumine your path. 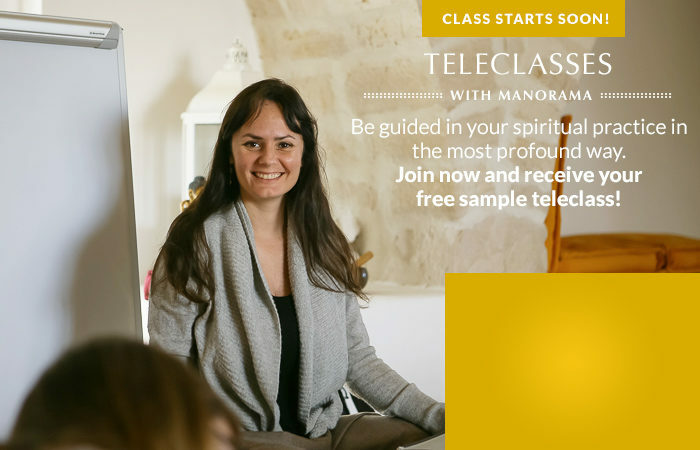 Join the Darshana: Dive into the Upanishads Teleclass, with Manorama. 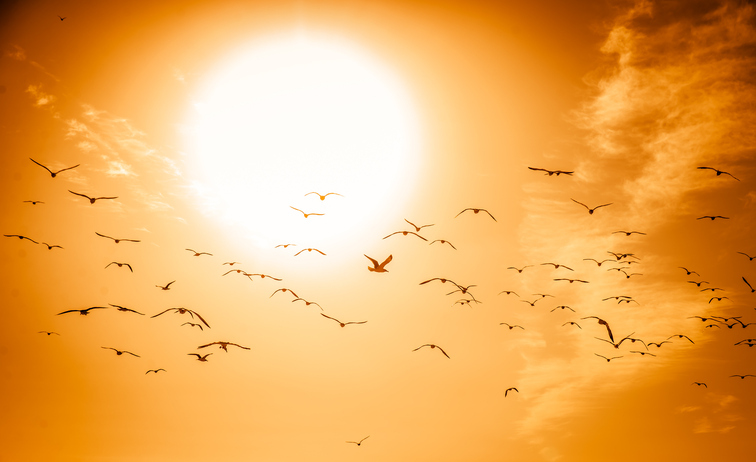 In each session, Manorama will lead chanting of Sanskrit verses, she will guide you in a Luminous Soul understanding of the Upanishads, throughout the course you will feel supported in your growth on the path of Luminous Soul and Yoga. Be inspired, Feel the confidence that comes from true understanding, Connect weekly with the Yogic tradition.